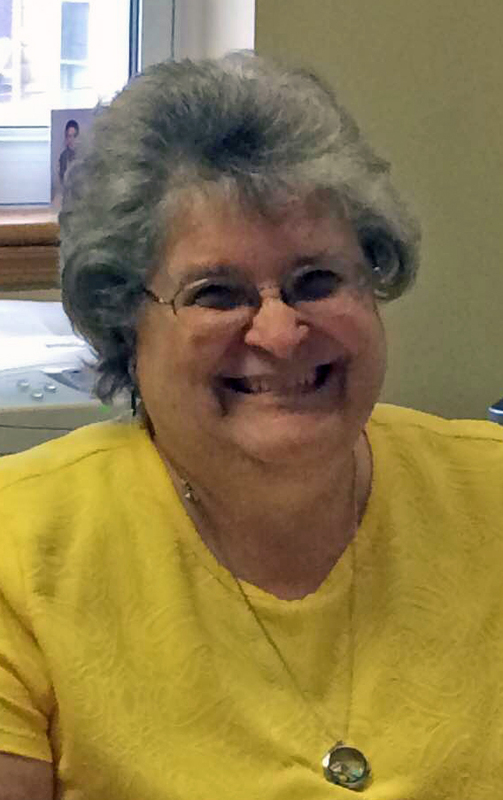 Joyce Fitz has served as secretary at the Grace Brethren Church, Waynesboro, Pa., for 40 years. It would be an understatement to say that Joyce Fitz is loyal. She has served as secretary for the Grace Brethren Church in Waynesboro, Pa. (Tim Clothier, senior pastor), for more than 40 years and she has been attending the church for 67 years. “Grace Brethren Church has been my home church since I was a baby. The church has always preached the word of God, is a light to our community, and stays faithful to Him,” says Fitz. Fitz’s desire to help others is one of the reason she continues working at the church. Fitz has seen a lot of changes since she first started working as the church. She has gone from using manual and electric typewriters to learning to use a computer and the latest software programs. “The church has gone through many changes from physical building programs to ups and downs in attendance but the Lord has always blessed us through adversity and made us stronger for it,” she adds. According to Fitz, the attendance at Grace Brethren Church in Waynesboro is growing. After 67 years, she admittedly is very close with the members of the congregation. She also makes an effort to get to know new attendees. She says she has seen many lives change as a result of people growing in Christ and she hopes to see many more as the church continues to grow. As of now, Fitz says she has no plans to stop working in the church. She also teaches two- and three-year-old Children’s Church on Sunday mornings and has been a part of many ministries in the local congregation and in the Mid-Atlantic District of Grace Brethren Churches throughout the years. Editor’s Note: Alisha Gomez is an intern with GraceConnect. She is a senior journalism major at Grace College from Columbia City, Ind. Send a note of encouragement to Joyce here.